A sinister evil lurks in the land of Shay, where treacherous paths draw Abby, Rory and Finlay ever closer to utmost danger. 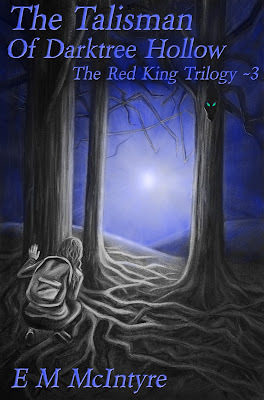 In this final installment of "The Red King Trilogy," Rory and Abby must take the Red King to his final resting place in the Shay before the darkness that is threatening the Shay and its inhabitants overtakes it. 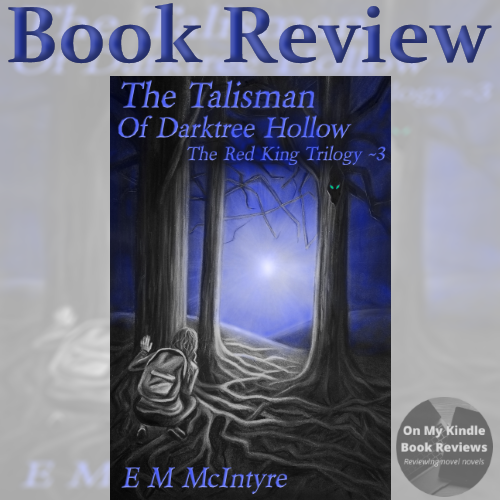 The Talisman of Darktree Hollow follows Rory, Abby, and Finlay as they make their way to the Shay to fulfill their destinies. 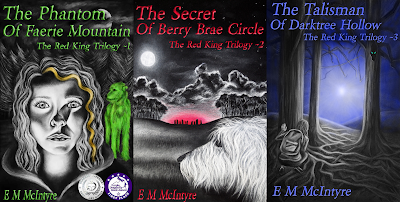 Adventure, suspense, action, and sacrifice await the trio on their epic journey. There is so much awesomeness in this book that I'd love to share with you! However, I really can't share all of the amazing twists without spoiling the book for you. The trio of Abby, Rory, and Finlay continue to evolve in this book, and we find out even more about the part each one has to play in the renewal of the Shay. Their roles are connected to how they are evolving as characters so, if you read the book and don't see the connections, read it again because you'll be sorry if you don't. This aspect of the plot kept me riveted as I tried to figure out which direction the characters would take. We're also introduced to several other interesting supporting characters who are part of the Shay and they are just as interesting as the main characters. I enjoyed the adventure aspect of the plot because McIntyre is a great world-builder. As the trio journeyed to complete their quests, they traveled through complex landscapes filled with flora and fauna for the characters to interact with. Don't expect pages upon pages of elaborately detailed descriptions of the world that abruptly pause the story; McIntyre masterfully inserts these wonderful details as the characters interact with the world. I am sorry to see that this is the final installment of "The Red King," but the ending was a natural part of the storyline progression. I am happy to recommend this and the rest of the series to both young adults and older readers alike. 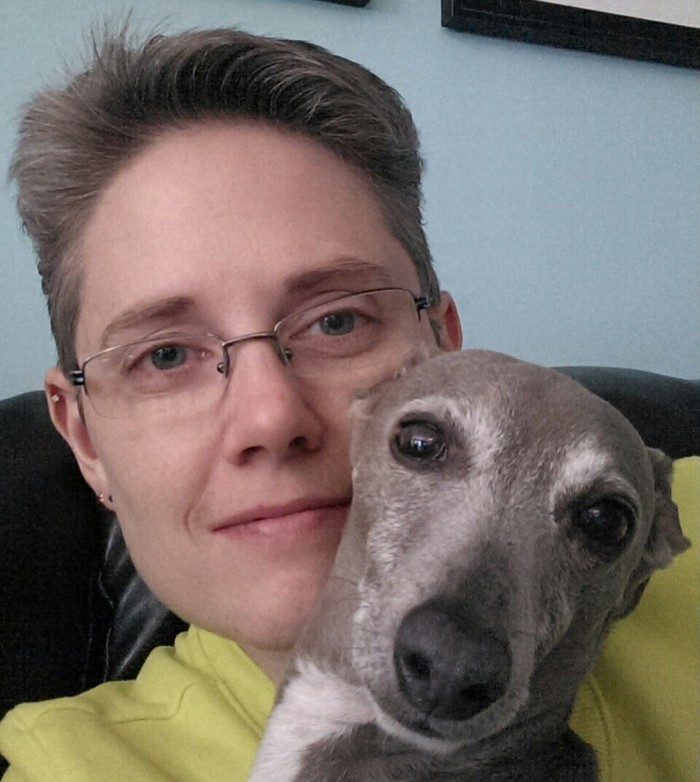 I hope that McIntyre continues to write as I am anxious to see more from her in the future. 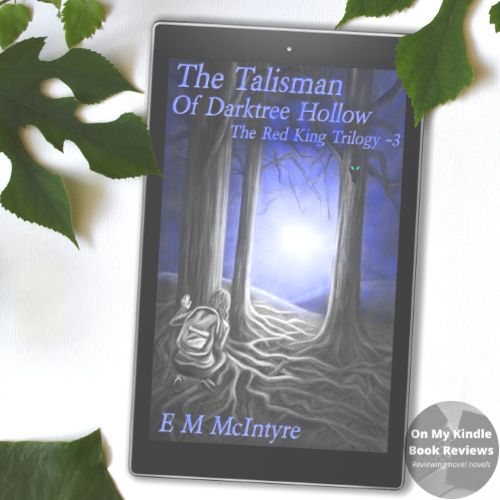 Find The Talisman of Darktree Hollow Online! Find The Red King Trilogy! E.M. McIntyre, author. Courtesy of Goodreads.